Apple crumble is in my opinion the best thing to come out of Britain. Simple as that. And this is my recipe for it. 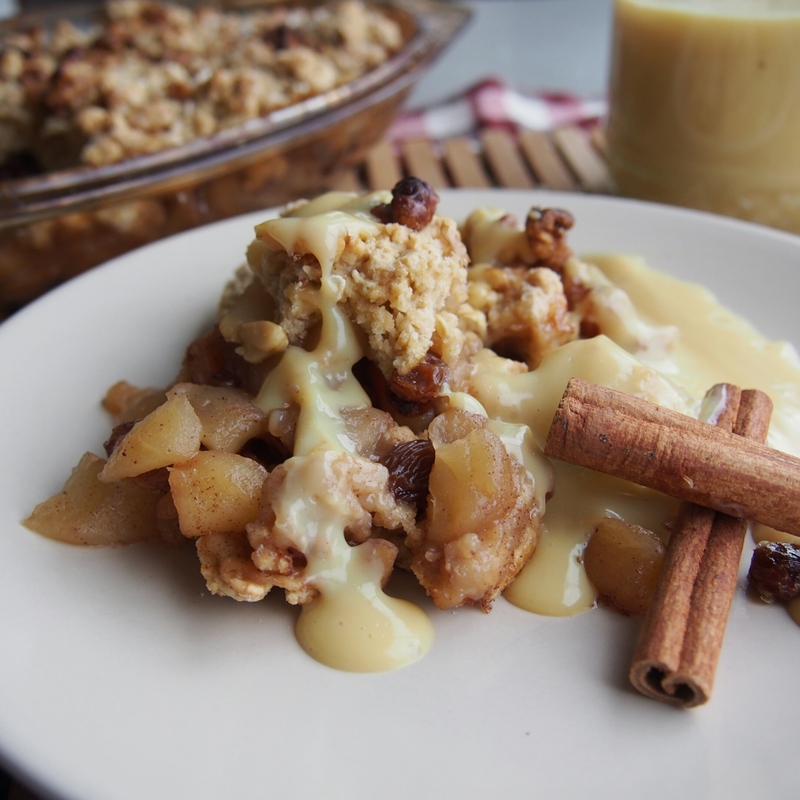 There are hundreds, probably thousands, of different recipes for Apple Crumble out there, some of them with new twists and some five generations old, passed down through families. This one is a mixture of the two for me. 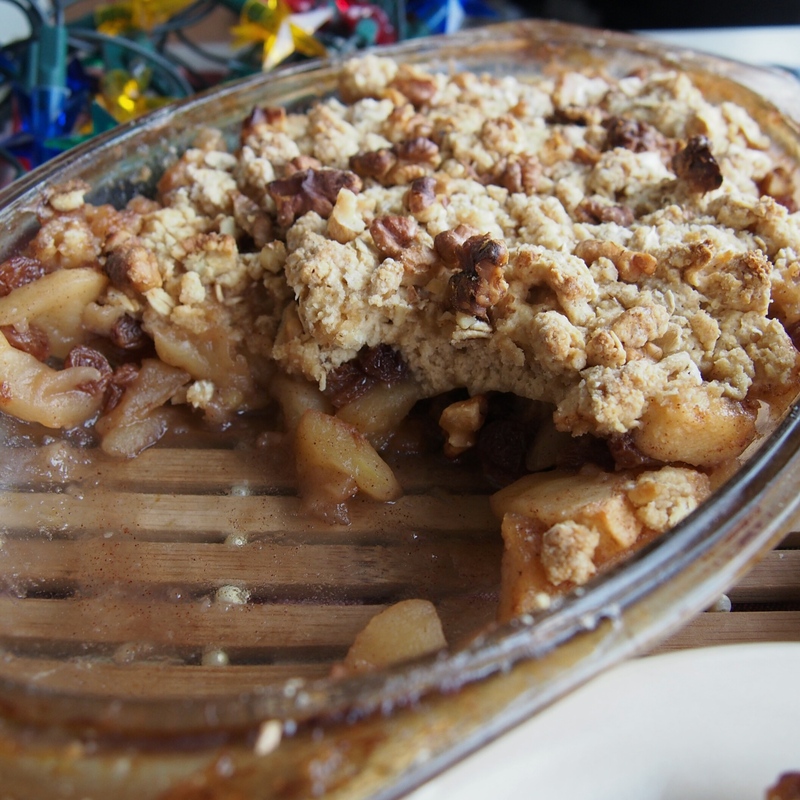 There was never anything written down in our family, just at Christmas we made Apple Crumble. I never really stopped and thought how we did it, we just did. Not until later when I started to teach myself how to really cook did I appreciate how important these memories were. Cooking intuitively without following recipes to the very last teaspoon took me a long time to grasp, before I would stop worrying about it being perfect and just have fun with food. Then I remember these memories… it’s exactly what we used to do and how my mother still cooks today. It’s where the best recipes originate from. 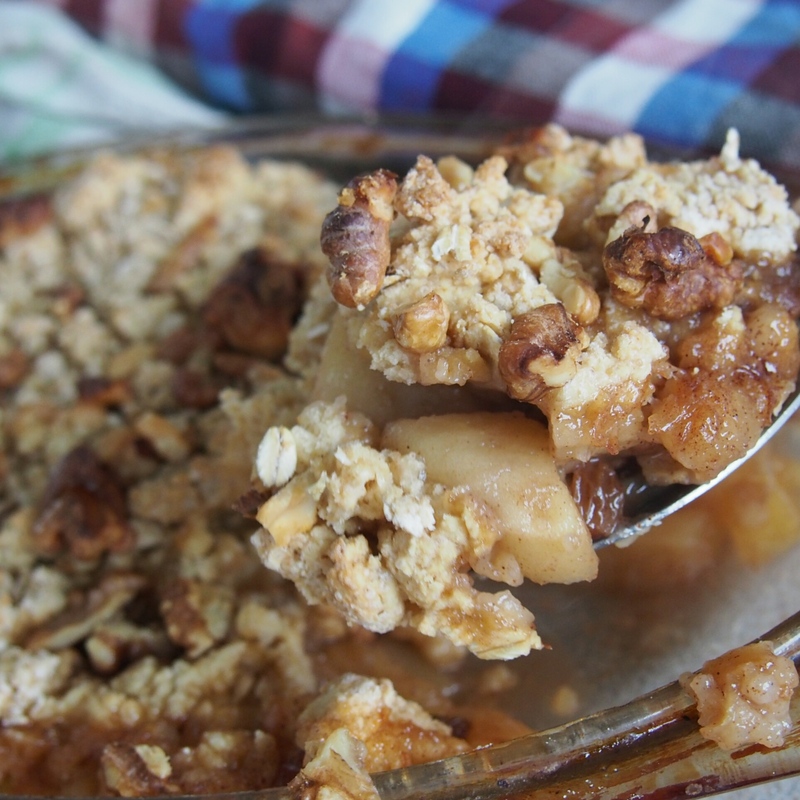 So this is my version of the many many Crumble recipes out there and I hope you enjoy. Serve this with hot vegan custard or vanilla ice cream. Peel and chop the apples to about ½ inch sized cubes. Place in a saucepan with the sugar, lemon juice, water, cinnamon and raisins if using. Heat on a medium heat and simmer for 5 minutes, stirring every now and then. Place in a 8 x 8 inch high sided baking dish. Take the oats, flour, baking powder, sugar and margarine and mix roughly together with your hands in a large bowl or preferably pulse in a food processor. Cover the apples with the topping evenly. 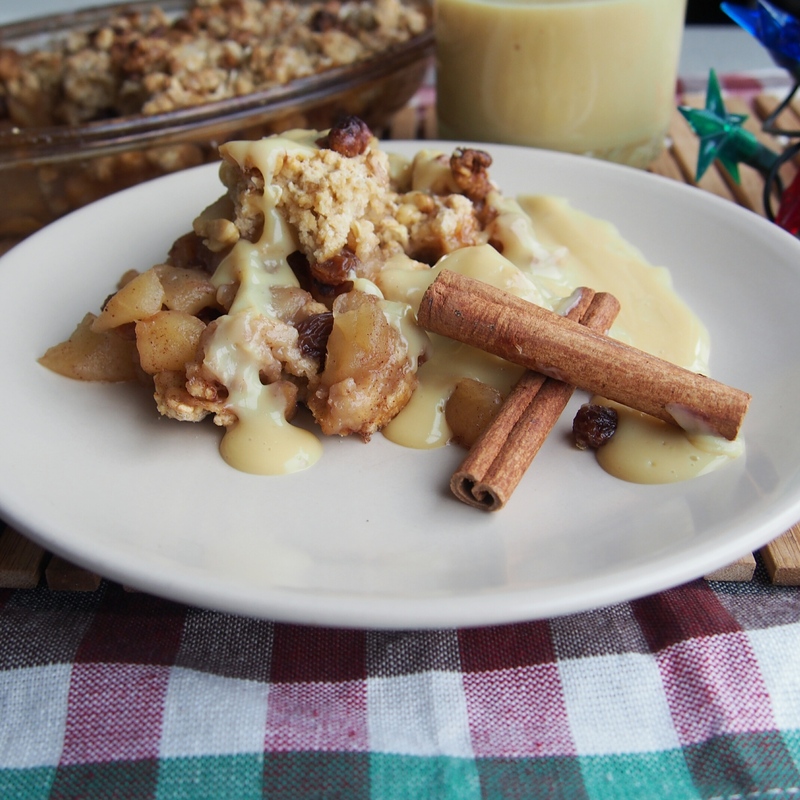 Serve warm with vegan custard or ice cream and enjoy! What could I substitute vegan margerine for? They dont sell any vegan products where I live.